The downside momentum continued today, the local market selling off quickly from the open despite the futures pointing to a muted start. The index closed over 100 points lower than Wednesday’s close, led by the banks, while the tech names also took a beating today. 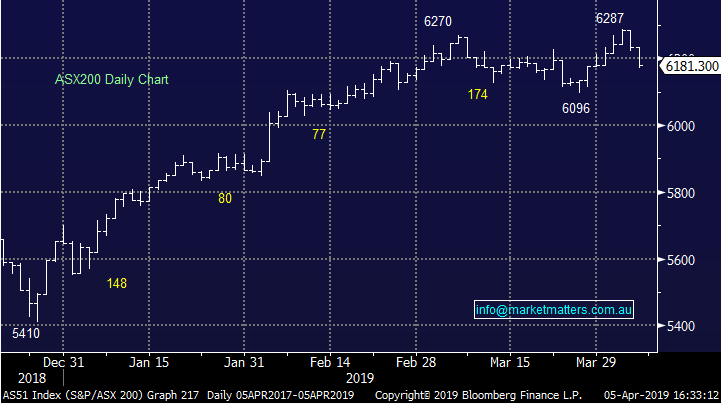 This week was volatile, with 100 points moves both up & down. Bill Shorten’s budget reply saw more of a reaction than what the Government handed down on Wednesday. Some medical names benefitted in particular – the diagnostic imaging names like Capitol Health (CAJ) bucked the market weakness to trade over 2% higher. 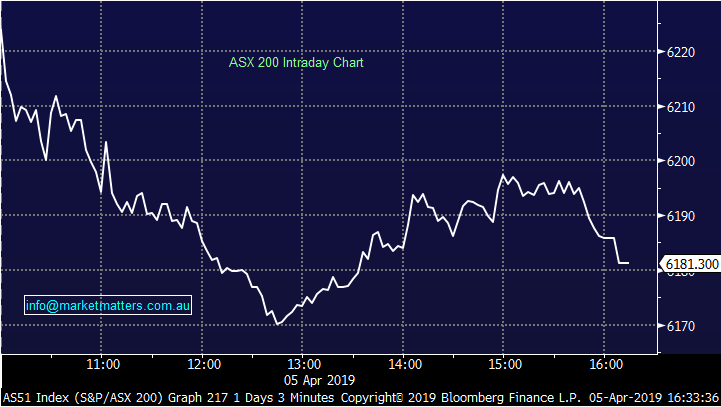 Overall today, the ASX 200 fell -51pts or -0.83% to 6181. Dow Futures are trading up 4 points / 0.14%. The big news today was the announcement from car dealer AP Eagers (APE), 5.63%, which is looking to acquire Automotive Holdings Group (AHG), 20.79%. 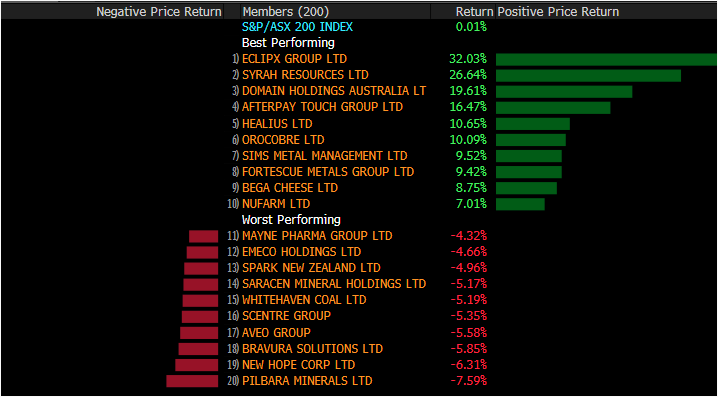 APE already holds nearly 30% of the AHG, and was offering 1 APE share for every 3.8 shares of AHG, worth around $1.91 as at last nights close prices. Both shares shot up today, but the Automotive Holdings board has told shareholders to sit tight believing there is more value left in the business. More to come next week.